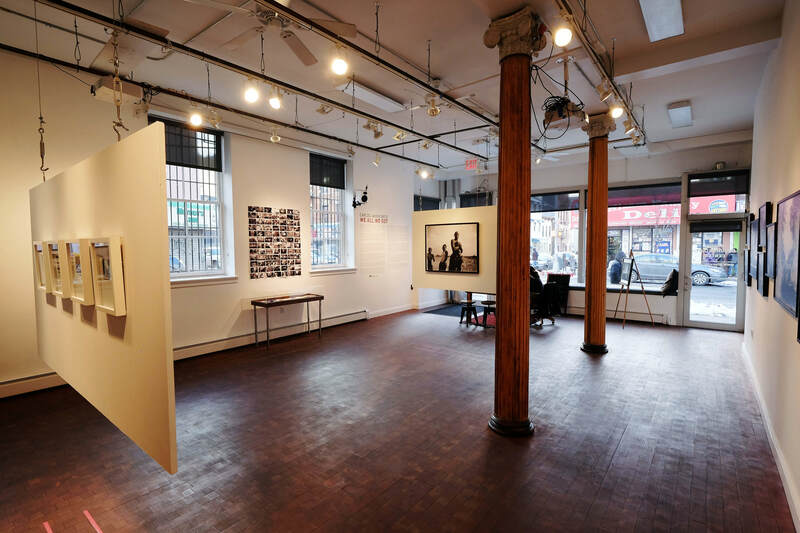 The Bronx Documentary Center’s 1,000-square-foot gallery is available for private event rental. The Bronx Documentary Center’s 1,000-square-foot gallery is available for private event rental, contingent upon our exhibition schedule. Past events have included professional meetings and retreats, fundraisers, and film screenings. Rental clients are responsible for all details in building their event, including catering, decorating, and entertainment. A/V equipment along with chairs and tables are available upon request. The capacity for events is 65 guests. The rear 1,000-square-foot back patio is available upon request as well. For more information and rates, please first fill out this form. Non-profit pricing is also available.